The market sizes published each year by ESOMAR ranks Singapore a lowly 43rd in the world, smaller than markets such as New Zealand, Hungary, and Portugal, and also lower than some of its SE Asian neighbours including Indonesia, Philippines, and Malaysia. This of course is a function of Singapore’s small domestic market (a population of only 5 million) and to a degree the severe impact of the 08-09 recession which affected the Singapore research business far more than most other markets in Asia. However, Singapore is unique in its position as a regional market research hub. The Market Research Society of Singapore (MRSS), who recently compiled the 2010 figures for ESOMAR, reported that the ESOMAR market sizing figures (which is based on domestic spend only) are probably only half the total revenue generated by the Singapore research industry. 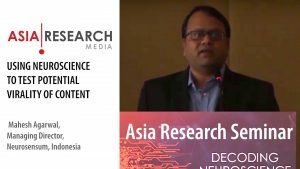 Significant amounts of revenue are generated by research commissioned in Singapore for research in other Asian markets, with analysis and reporting taking place in Singapore. Furthermore, for tax reasons some of the larger agencies choose ‘convenience accounting’, e.g. billing from Singapore for work conducted by other offices around Asia, e.g. taking advantage of Singapore’s low corporation tax through transfer pricing. The MRSS estimate also demonstrated the difficulty in generating the market sizing statistics for the industry. The most accurate approach is on an audited basis, e.g. aggregating the revenue details of all the market research firms operating in the country. However most companies were unwilling to share their revenue details, even in anonymous form, the fear among stakeholders is that such figures can be analysed and traced back to individual companies for example according to their mix of business. These figures would also include double counting, for example where fieldwork is subcontracted between various companies in Singapore. The alternative approach was to establish a ‘best estimate’ from a survey of senior stakeholders in the industry, and this was the approach adopted by the MRSS. However, while some of the estimates such as the breakdown on qualitative versus quantitative research were convergent and therefore deemed accurate, the overall estimate for the total market size were so wild that this approach to estimate the total market size was abandoned. Finally a figure was derived from estimating the revenue of medium to large firms and was based on either publicly available data, e.g. from Government bodies, or inside information on companies. These figures were buy topamax usa combined with an overall estimate on the number of smaller players in the market whose revenue is far more homogenous. 30% of research spend coming from FMCG companies, 20% in B2B, 15% Government, 10% telecoms, 5% each from financial, media, and pharmaceutical, and 10% from all remaining categories. 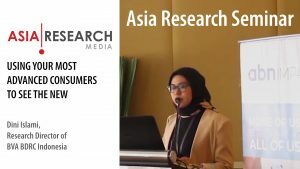 Despite the limitations of the stakeholder survey, the most insightful findings from the stakeholders were in the perceived market forces impacting research spend and market share in Singapore. While it is widely recognized that 2010 and 2011 are much better years for research budgets, the uncertainties in the US and European economies is a worry for companies depending on MNCs from these markets. Also, it was reported that many Japanese MNCs are freezing some research programs as their production has been disrupted as a result of the natural disaster back home. By the end of 2011, the Singapore market is expected to grown by about 10% over the previous year; not huge by Asian standards but many recognize the ability for Singapore to leverage off growth in emerging SE Asian economies such as Indonesia and Vietnam. 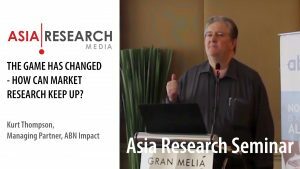 Some report that clients are now talking more about ‘building brands’ in Asia rather than just focusing on short term sales, the implications being more investment in research rather than tactical sales and marketing activity. It was also recognized that the market research industry could be even higher than that estimated on the basis of the research being undertaken by non-traditional vendors and therefore missing the ESOMAR survey. An increasing amount of spend is going directly from clients to on-line panel companies, i.e. bypassing the accounts of the research agencies, but also a range of other players including the analytics divisions of management consultancies (e.g. Bain and McKinsey) and the advertising agencies. New non-traditional players undertaking so-called research are direct marketing companies, neuroscience firms, and social media consultancies. The latter offers a suite of services from social media optimization and new media planning and is considered to be one of the biggest growth areas for research.